What's the first thing that comes to mind when you hear "Bruce Lee"? 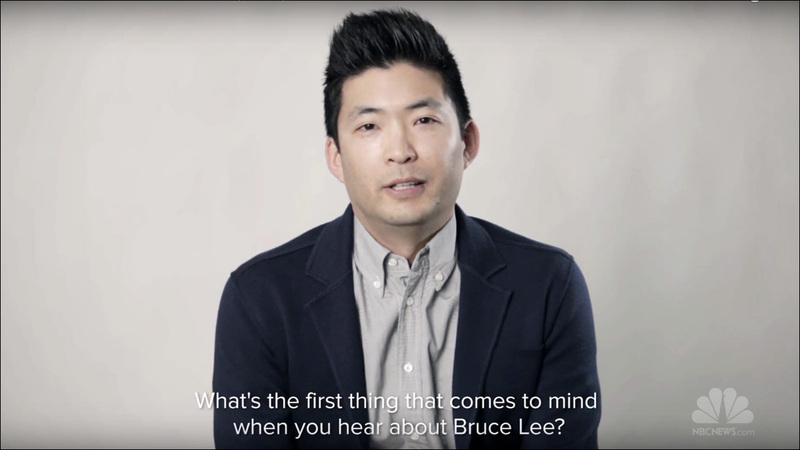 New digital series "Jubilee Project: Voices" gathers Asian Americans to answer a single question. Jubilee Project: Voices is a five-episode digital series collaboration between The Jubilee Project and NBC Asian America. In each installment, they gather Asian Americans -- including myself -- to answer a single question, with the hopes of sparking conversation and encouraging others to share their stories too. For a figure who meant to so much to so many people, it's kind of hard to condense it down to a two-minute video. Of course, as a big Bruce fan, I actually had a lot more to say on top of what made it into the piece. Still, I was happy to participate in this one, as well as the entire "Voices" series. More here: Have you ever had a "lunch box" moment? More here: Who is Vincent Chin?